Fright-Rags kicks off the new year with T-shirts, socks, enamel pins, and beanies from such beloved properties as RoboCop, Teen Wolf, Vampira, Trick 'r Treat, Halloween, and more. Become part man, part machine with Fright-Rags' latest RoboCop apparel. It's your move, creep, to pick up two shirts and a pair of socks featuring the future of law enforcement. Sink your teeth into Fright-Rags' Teen Wolf custom-knit crew socks and four enamel pins, including one with dancing motion. They join a variety of shirt designs celebrating the 1985 comedy classic. Tune in to Fright-Rags’s collection dedicated to television’s first horror host, Vampira. Created and portrayed by Maila Nurmi, the campy character is featured on three new shirts. 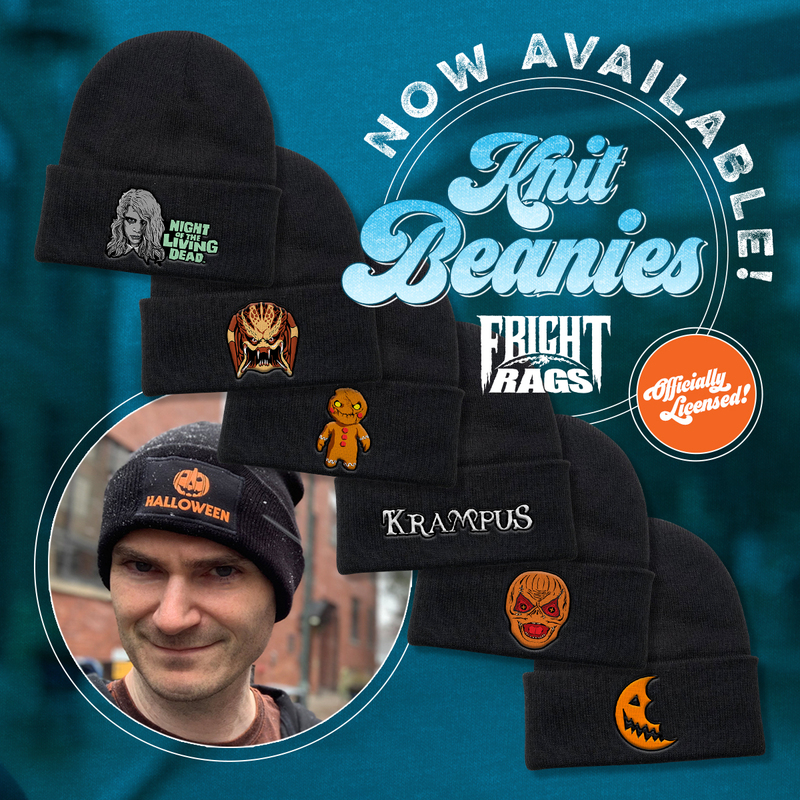 Keep warm all winter long with Fright-Rags' knit beanies. There are seven designs featuring custom women patches from Halloween, Night of the Living Dead, Predator, Trick 'r Treat, and Krampus. 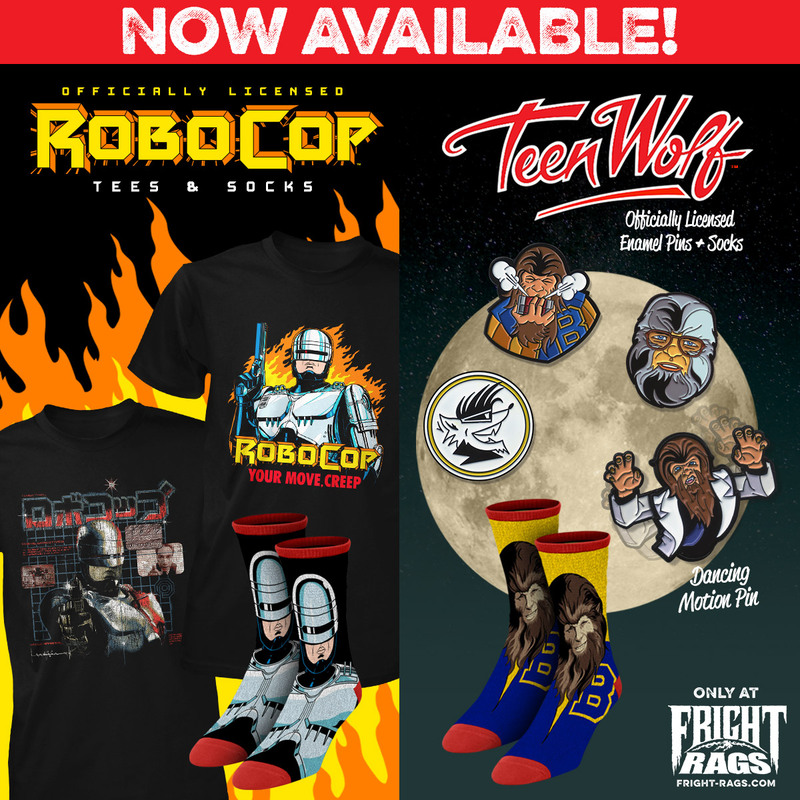 RoboCop, Teen Wolf, and Vampira collections, along with new beanies, are on sale now at Fright-Rags.com.